Hi, Joel Greene here from Condo Hotel Center. I hope you are enjoying your summer. At the Greene house, my wife Jackie and I are still getting used to the idea of being empty nesters. It’s so quiet here! 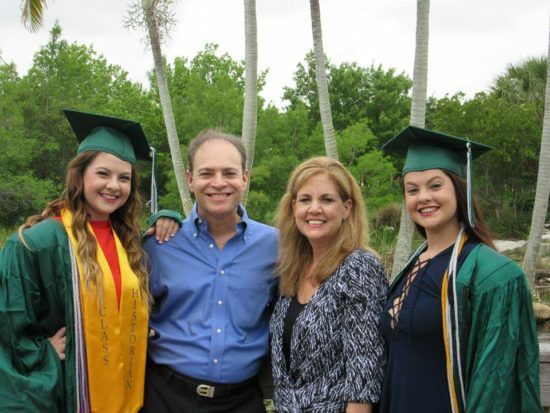 Our twin girls have gone off to the University of Central Florida in Orlando. They decided to start their freshmen year early and attend summer session. 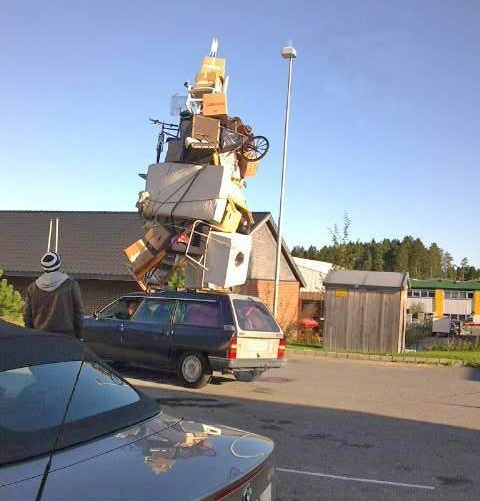 We helped them move into their dorm, which wasn’t easy. I don’t want to exaggerate, but I think this is pretty much how we looked making the 3.5 hour drive. I am not going to make 2 trips. Anyway, now that the girls are at school, Jackie and I have begun discussing some of those fabulous vacations we’ve thought about for years. One of the places we most want to visit is France, which also happens to be where today’s featured property is located. The property I have for you offers a variety of different ownership opportunities. With prices starting at just £13,000/Approx. $16,800and a program that allows owners to receive rent revenue when they’re not using their French vacation home, the possibilities are exciting. Read on for details. You can own a piece of this historical French chateau. Wyndham Halcyon Retreat will soon become a world-class golf and spa resort located in “the land of a thousand lakes” in the majestic Limousin region of France. There’s a lot to this property, so let me attempt to give you an overview and some background. In 2011, Halcyon Development Group, a well-established UK developer, purchased a French chateau originally built in 1898. Designed in a 17th Century Louis XIV architectural style, it encompassed 220 acres with two lakes and a few buildings, including a 16th century turreted chateau and the main chateau. The main chateau with 54 rooms was in a dilapidated state but has since been completely refurbished to a high standard. 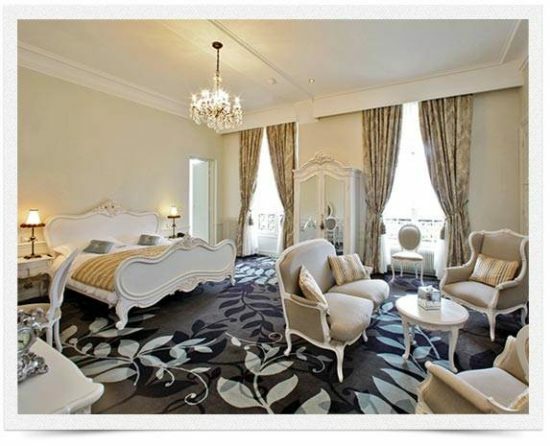 It opened in 2012, a stand-alone 19-room hotel with a fine dining restaurant, outdoor pool and tennis courts. Now it is becoming part of the Wyndham Hotel and Resorts, the world’s largest hotel group. Wyndham has chosen the chateau as its flagship hotel in France and plans to promote it in a worldwide marketing campaign to its 49-million person database of travelers. 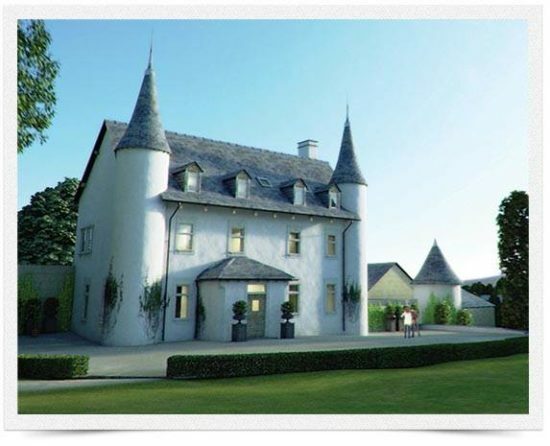 A smaller chateau on the grounds built in the 16th century is being converted into a spa. Barrasford & Bird Worldwide is now focused on converting the 16th century turreted chateau into a full-service spa and extending it to four times its original size. The developer is also creating a French village named “Le Village” (no points for creativity there) of traditional stone-period buildings that will include a total of 195 units (studios, one- and two-bedroom units). The individual units for sale will have designer furnishings and finishes. 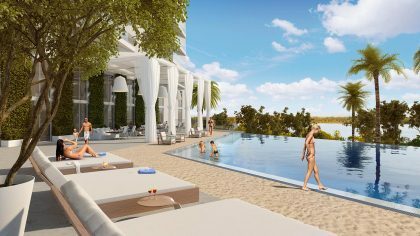 So, to be clear, here is what’s for sale now: a limited number of luxurious suites in the hotel and the 195 units in Le Village. 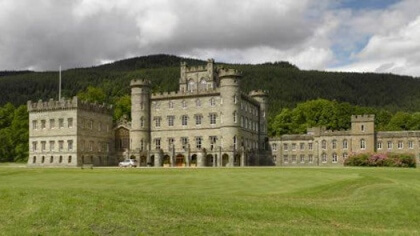 Units can be purchased for full or fractional ownership. Both property types offer the option of full ownership or fractional ownership with deeded freehold. Fractional owners will own four weeks, with two weeks of annual usage permitted, equal to a 1/13th fractional share, and the option to use their weeks any time of the year. The Chateau has an interesting history. Passed down through several generations of a prominent French family, it eventually served as a makeshift military hospital for injured servicemen in World War II. In more recent times, former French President Francois Mitterrand vacationed at the Chateau and Prime Minister Michel Rocard laid the first stone in the new buildings in 2010. An 18-hole golf course is being created by industry expert Bruce Weller. Wyndham Halcyon Retreat is located on 220 acres of stunning natural landscape in the Limousin region in central France. With temperatures in the summer reaching the mid-80s, the climate is perfect for outdoor pursuits such as hiking and sailing. Nearby lies the Creuse Valley, a stunning river valley that inspired the renowned painter Claude Monet. A rich historic and cultural region, Limousin has many beautiful old Roman churches and castles. The region is scattered with lakes, forests and natural, open countryside. The Limoges International Airport is less than an hour’s drive from Wyndham Halcyon Retreat and a rail station with trains direct to Paris is just 10 minutes away in the nearby town of La Souterraine. 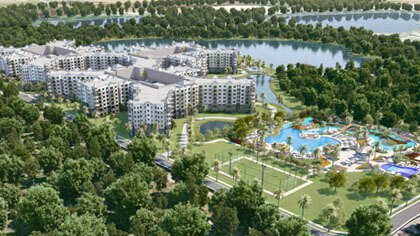 Construction on Wyndham Halcyon Retreat is already underway and will be done in phases. The entire project is expected to be complete by December 2021. Owners will have both usage and rental revenue by placing their unit in the Wyndham rental program. In accordance with the terms of the French Leaseback Program, owners may use two of their four weeks allotted to fractional owners each year, or 6 months of allotted time for full ownership. When not in use, you’ll participate in a rental program and share in the revenue generated. Prices for fractionals range from £13,000/Approx. $16,800 to £33,000/Approx. $42,700. Those prices include taxes and furniture. Whole ownership ranges from £145,000/Approx. $187,500 to £363,000/Approx. $469,500. Taxes are an additional 3% and furniture packages, not included, will vary in price based on unit size. Send me the Wyndham Halcyon Retreat data sheet. I mentioned at the beginning that my daughters Haley and Lindsay have now left the nest. It seems like only yesterday that Jackie and I were holding these two 6-pound bundles of joy and dreaming of the day they would one day be grown up. That dream came true when we attended their high school graduation two weeks ago. If owning a vacation home in something as exotic as a French chateau is something you’ve dreamed about, I hope you’ll consider Wyndham Halcyon Retreat. Or, if there’s some other property you’d like, whether for investment or personal enjoyment, give me a call. I’d love to make your dream come true. © Condo Hotel Center. All rights reserved. No portion of this data sheet may be reproduced, exhibited or distributed without the express written permission of Condo Hotel Center. Condo Hotel Center takes copyright infringement seriously. Violators will be prosecuted to the fullest extent of the law. Although Condo Hotel Center believes the information contained in this data sheet to be accurate and complete, Condo Hotel Center can make no such guarantee. All features and descriptions are subject to change. Please speak with your personal legal and financial advisors to determine whether this property is suitable for your objectives. WYNDHAM HALCYON RETREAT IN LIMOUSIN, FRANCE.